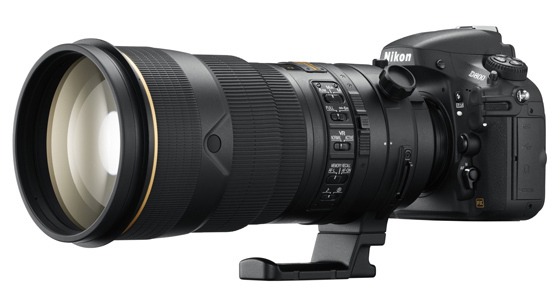 Just a couple of weeks ago Nikon announced their flagship camera, the D4, a 16MP shooter which should cater to the needs of news and sports photographers. But not everyone needs all that speed and some would rather have a bigger bang… which is why Nikon are rolling out the D800 a 36.15MP FX monster. Nikon say the D800 -- aimed at studio photographers and landscape fans -- offers imaging potential to rival medium format cameras, but with all of the agility of the D-SLR format. Kentaro Kusakari, Product Planning Manager, Nikon UK says: “The D800 sets a new benchmark for photographers shooting both still images and video. "The combination of the powerful 36.3 megapixel resolution that records detail like never before, and the comprehensive video options will captivate photographers and moviemakers of all disciplines. "We’re excited about the D800 and know it will help to shape the future of the way we capture images and movies."